On Wednesday, February 24, the Board of Directors of power management company Eaton announced a quarterly dividend increase of from $0.55 to $0.57 per ordinary share that’s payable March 18, 2016 to holders of record March 7, 2015. This represents a 3.64 % increase to regular quarterly dividends and this is the 7th consecutive year that ETN has increased its dividend per share. With current price $56.75 (yesterday's open), this raise brings their dividend yield to 4.02 %. Since I own 30 shares, this will increase my portfolio's projected annual net dividend income by $1.79. That increase rises my YOC to 3.62%. Today the Board of Directors of Toronto-Dominion Bank announced a quarterly dividend increase of from CA$ 0.51 to CA$ 0.55 per share that’s payable April 30, 2016 to holders of record April 8, 2016. This represents a 7.84 % increase to regular quarterly dividends. With current price CA$ 51.23 (yesterday's close), this raise brings their dividend yield to 4.29 %. Since I own 155 shares, this will increase my portfolio's projected annual net dividend income by CA$ 18.48. That increase rises my YOC to 4.09 %. Today the Board of Directors of Royal Bank of Canada announced a quarterly dividend increase of from CA$ 0.79 to CA$ 0.81 per share that’s payable May 24, 2016 to holders of record April 25, 2016. This represents a 5.19 % increase over the first quarter 2015 dividend of CA$ 0.77 per share and a 2.53 % increase over for the third quarter 2015 of CA$ 0.79 per share. With current price CA$ 69.63 (yesterday's close), this raise brings their dividend yield to 4.65 %. Since I own 120 shares, this will increase my portfolio's projected annual net dividend income by CA$ 7.15. That increase rises my YOC to 4.28 %. Yesterday the Board of Directors of The Coca-Cola Company announced a quarterly dividend increase of from $0.33 to $0.35 per share that’s payable April 1, 2016 to holders of record March 15, 2015. This represents a 6.06% increase to regular quarterly dividends and this is the 54th consecutive year that KO has increased its dividend per share. With current price $43.61 (yesterday's close), this raise brings their dividend yield to 3.21%. Since I own 150 shares, this will increase my portfolio's projected annual net dividend income by $8.94. That increase rises my YOC to 3.74%. 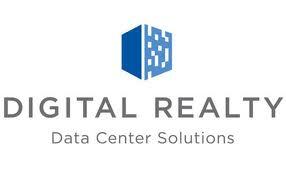 Yesterday the Board of Directors of Digital Realty Trust Inc. announced a quarterly dividend increase of from $0.85 to $0.88 per share that’s payable March 31, 2016 to holders of record March 15, 2016. 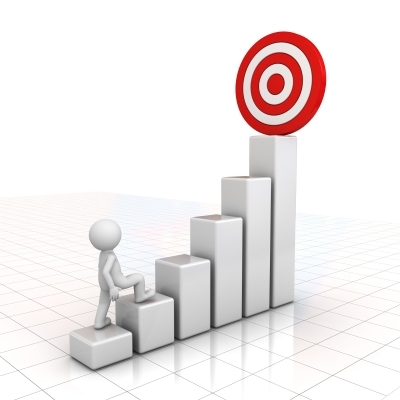 This represents a 3.53% increase to regular quarterly dividends. With current price $79.77 (yesterday's close), this raise brings their dividend yield to 4.41%. Since I own 120 shares, this will increase my portfolio's projected annual net dividend income by $10.73. That increase rises my YOC to 7.37%. Today T. Rowe Price Group, Inc. announced a quarterly dividend increase of from $0.52 to $0.54 per share that’s payable March 30, 2016 to holders of record March 16, 2016. This represents a 3.85% increase to regular quarterly dividends and this is the 30st consecutive year that TROW has increased its dividend per share. With current price $69.26 (today's open), this raise brings their dividend yield to 3.12%. Since I own 25 shares this will increase my yearly net dividends by $1.49. 9th February I Bought 60 shares of Archer Daniels Midland Company at $ 32.79 per share plus commission.